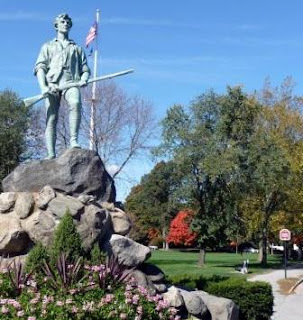 Welcome to Lexington Massachusetts, a quaint historical town located in Middlesex County just eight miles northwest of Boston. Lexington is most noted for the infamous “shot heard round that world” that began the American Revolution in the Battle of Lexington in 1775. This city, while dripping with rich American narrative, has also spent time on the brink of technology. Birthplace to Sir Tim Berners-Lee, inventor of the World Wide Web, Lexington is proud of its residents and present accomplishments. Education is highly valued in Lexington which boasts excellent private and public school systems. Arts and culture are other strong suits of Lexington and can be seen through a variety of local organizations and businesses. A solid community which focuses on supporting its residents has an outlet in the Lexington Farmer’s Market which has quickly become a favorite gathering place during the warmer months. Healthy living and an environmentally conscious approach has spurred Lexington on to become a town with numerous outdoor trails and venues along with a large portion of conservation land freely used by its residents and even visitors. If you are interested in learning more about Lexington as a current resident or as one considering a move to the area; this is the place to be. I’ll be posting weekly updates on the Lexington real estate market, local happenings as well as helping to walk you through the oftentimes overwhelming world of real estate. Feel free to post comments or questions; I’m here to help!